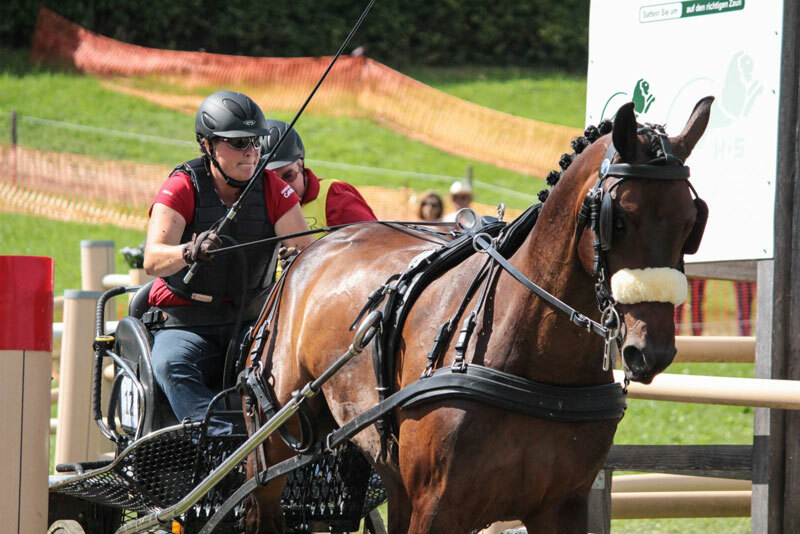 Equestrian Canada (EC) is pleased to announce Kelly Houtappels-Bruder, an Ontario native currently residing in Steensel, NED, as the first award recipient of EC’s new Combined Driving Achievement Awards program. Houtappels-Bruder received her EC Advanced/FEI Level Achievement Award based on the exceptional results she has earned competing at the CAI 2/3* level, including her most recent qualifying scores at the 2018 Saumur CAI 3*, where she captured first place on a score of 148.69, and the 2018 CAI 3* Chablis, where she took second with a score of 130.92. She currently ranks third in the FEI Top Driving Award Standings for Single Horses with Flip (Fidertanz x Carprilli), H. Hoogers’ 10-year-old Oldenburg gelding.